Last night we had a real eatwells family dinner. 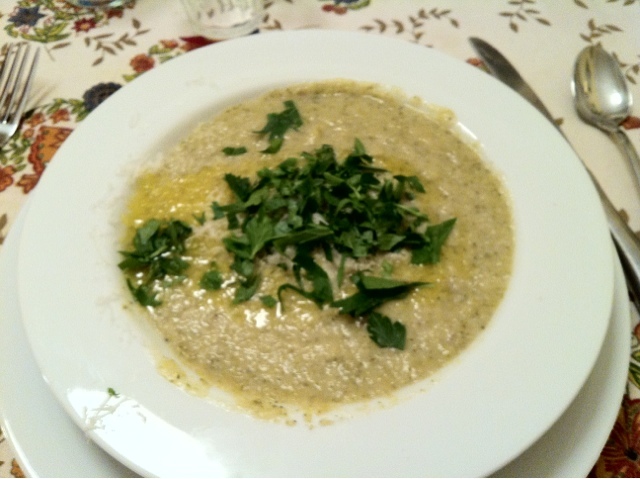 We started with cauliflower and broccoli soup finished with olive oil from Poggio al Sole, Parmesean cheese and fresh parsley. 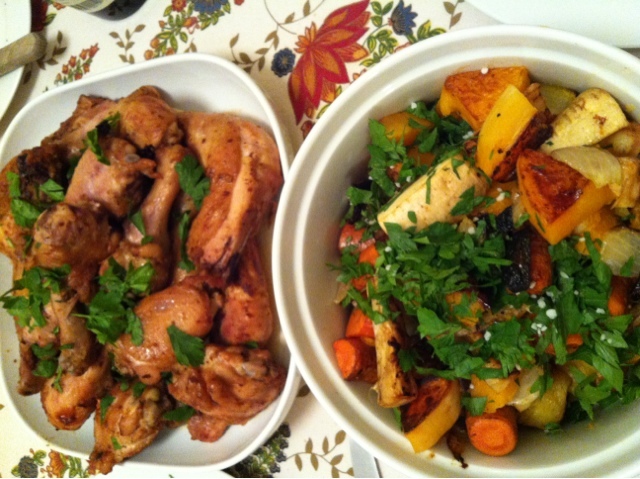 Next we had roasted chicken with vegetables ( secured by mulligan) roasted with pil olive and sea salt and topped with parsley. Salad and cheese ( from our resident cheese monger luxurygir) with fresh bread from sabrkitchen. 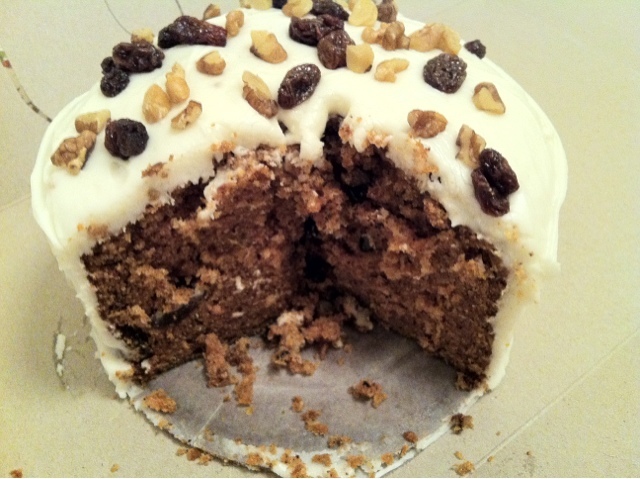 Finally carrot cake from Lloyd's in the Bronx. Now that is eatwells.